Shhh, keep it secret but we're working a huge update for Polarr Album+ and a brand new app from Polarr. And you can help beta test! 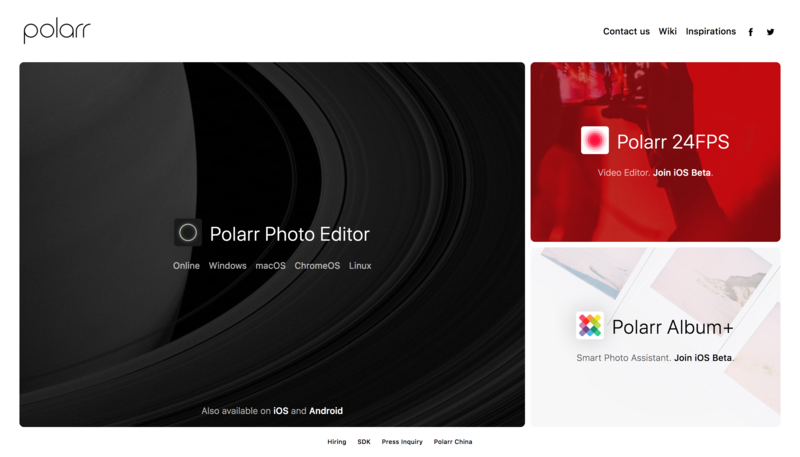 You might have noticed that the homepage for Polarr looks a little different. That's because a few weeks ago we silently updated the homepage with two new apps. Those apps aren't out yet, but you can click on them to add your information if you're interested in helping beta test on iOS. This is our smart photo assistant and it's getting even smarter. Join today. A brand new video editor from Polarr. Those custom filters you've created in Polarr Photo Editor are about to get even more powerful. Join today. We'll have more to share on each of these apps in the near future. But make sure you get your information submitted if you want to test them out and provide feedback before we launch.